If you’re looking to upgrade your conservatory roof, the Guardian Roof system provides unparalleled performance when it comes to tiled conservatory roofs. The energy efficient Guardian Roof allows your conservatory to be used as an additional living space – all year round. No longer is it the room you can only use for a few months of the year – as the Guardian Roof will keep your conservatory cool in the summer and warm in the winter. 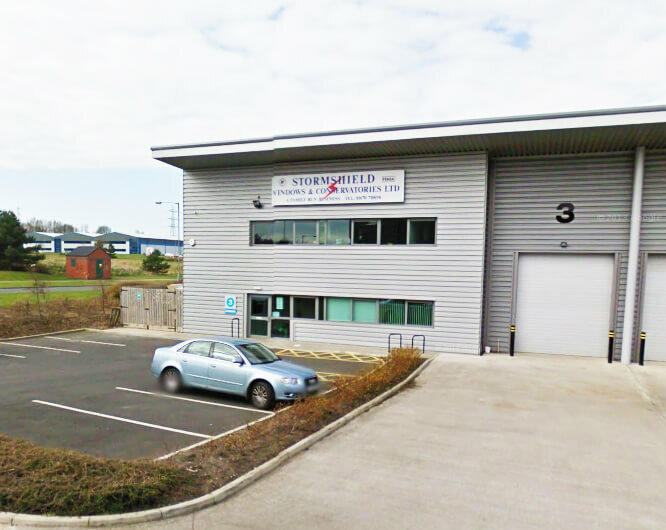 To find out more about our Guardian Roof Cramlington, contact our friendly team of experts today on 01670 710050. 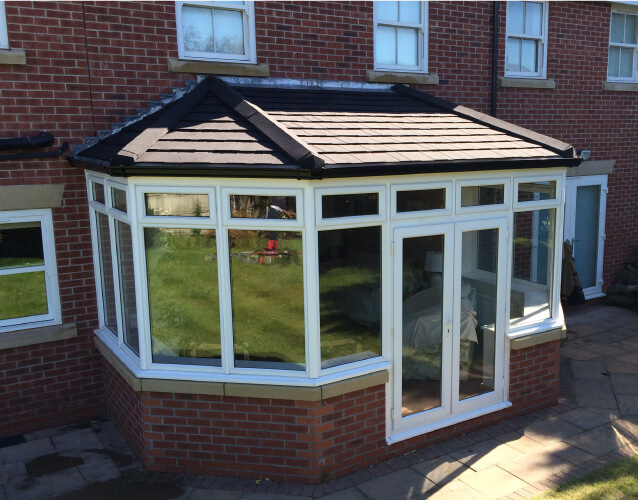 If you’re searching for ‘Guardian Roof Cramlington’, or are looking to upgrade the roof of your current conservatory, the team at Stormshield can bring your home to life in just a few days. When you’ve made the decision to replace the current roof on your conservatory, it’s usually down to a couple of deal-breaking factors. The problem with existing polycarbonate or glass conservatory roofs are the levels of insulation and protection they provide throughout the summer and winter months. This leaves your conservatory being far too hot in the summer, and unbearably cold within the winter. Our projects for Guardian Roof Cramlington provides a fresh, airy room throughout the summer as well as a much warmer room during the winter. After your Guardian Roof system has been installed, the possibilities are endless for your new conservatory. The room can be turned into a brand new kitchen, a family room or even a home study/office. The insulation provided by the solid yet lightweight roof greatly improves the acoustics of the room. The solid conservatory roof allows the living space to be used all year round. Is my conservatory suitable for a new Guardian Roof Cramlington? The short answer: Yes. 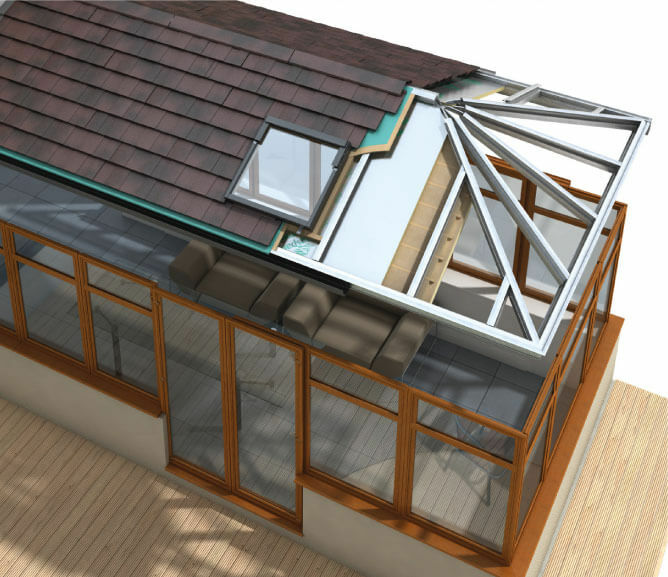 All conservatory roofs can be replaced with the efficient Guardian Roof System, providing there is sufficient support from the existing frame. You’re in safe hands with Stormshield – Our team of Guardian trained installers are qualified to convert all conservatory roofs into the Guardian Roof system. Each and every Guardian Roof is tailor-made to your exact specification, with each and every tile and component assembled at our factory to ensure we have created the perfect roof. Once we’ve built the roof in our factory, we dismantle each part of the roof and ready it for delivery. If you’ve ordered a Guardian Roof Cramlington, the first job that Team Guardian will carry out is to carefully remove your current conservatory roof. After the old conservatory roof has been removed, we begin installing your brand new beautiful Guardian Roof. Within just a few days your new roof will be finished and you’ll be all set to enjoy your brand new room. There are various shapes that conservatories are built in, and having a Guardian Roof Cramlington has never been easier. The types of roof available range from your simple Lean-To style to your unique custom shaped roof. Below are the styles of Guardian Roof available – for more information on installation and roof styles, get in touch with our team today. The style of the lean-to Guardian Roof is where one side of the roof ‘leans’ against another building. The construction of a lean-to roof can comprise of one or two slopes and can be the perfect style for a new kitchen extension. Available in various tile types, contact our team today for more information on our range of Lean To roofs. The arches slopes of the Gable Ended Guardian Roof provide maximum headspace due to its continuous height towards the middle of the roof. Complimented with a gable-ended window, your new conservatory will benefit from an abundance of natural light, making it perfect for a replacement or as a new build conservatory. If you decide on a Guardian Roof Cramlington, each and every build has been comprehensively tested and meets all thermal and structural standards. The high-performance Guardian Roof consists of a lightweight frame, two rigid layers of insulated board, internally insulated plasterboard, exterior grade plywood as well as a vapour membrane. The thermal efficiency of the Guardian Roof drastically exceeds that of your standard polycarbonate roof, and it what will keep your conservatory cooler in the summer months, and much warmer during the winter. To find out more about our range of Guardian Roof systems and roof styles, get in touch with one of our Guardian experts today on 01670 710050. For more information on your conservatory roof replacement cost, please request a survey. To check an order or for more advice regarding your Guardian Roof Cramlington, request a call back now at the bottom of this page.